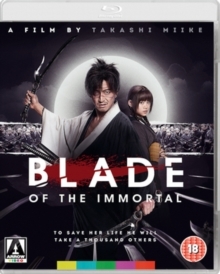 Takuya Kimura stars in this Japanese action drama directed by Takashi Miike. 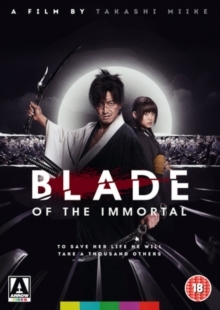 The film follows Manji (Kimura), a legendary samurai warrior who is cursed with immortality following a famous battle. Plagued by memories of his sister's murder, Manji vows to fight the forces of evil in a bid to lift the curse and regain his soul. After coming across Rin Asano (Hana Sugisaki), a young girl whose parents were brutally murdered by a gang of master swordsmen, Manji vows to hunt down those responsible and help Rin get her revenge. The cast also includes Sota Fukushi, Hayato Ichihara and Erika Toda.